It’s the Fourth of July and there isn’t much to complain about as the heat is at its usual apex of hot and humid. That did not deter over 200 runners and walkers that took on the annual Flotilla Road Race at Lakeside Park in Syracuse Wednesday morning. The 3.3-mile course, which made its square north away from the park around Maxwelton Golf Club and back along Northshore Drive on the banks of Syracuse Lake, then back again to the finish line at the park. In a blistering 17:04 came Elias Rojas of Ligonier, the first to complete the 3.3-mile race. Jillian Woods, who is only 11, made Osceola proud as she was the first female to cross the 3.3 line at 22:09. 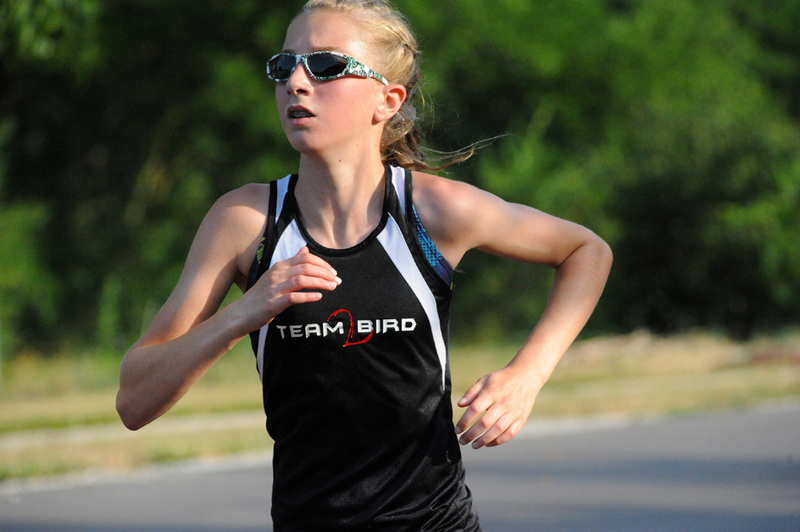 The Woods family had more to be excited about, as big sister Maddie Woods, who is just 15, was the top female in the eight-mile race at 53:10. 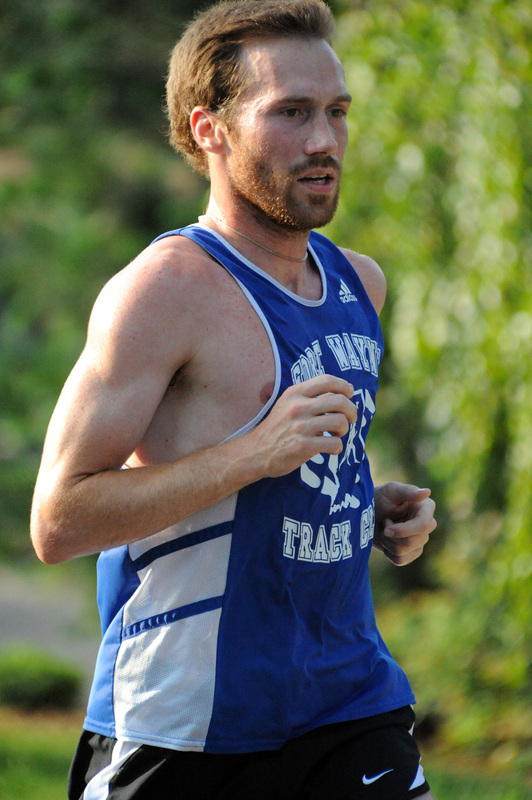 Conquering the eight-mile race as the overall winner was Hunter Paris of Fort Wayne, who looked just as strong at the finish at 43:02 as he did cruising past the 3.3-mile marker. 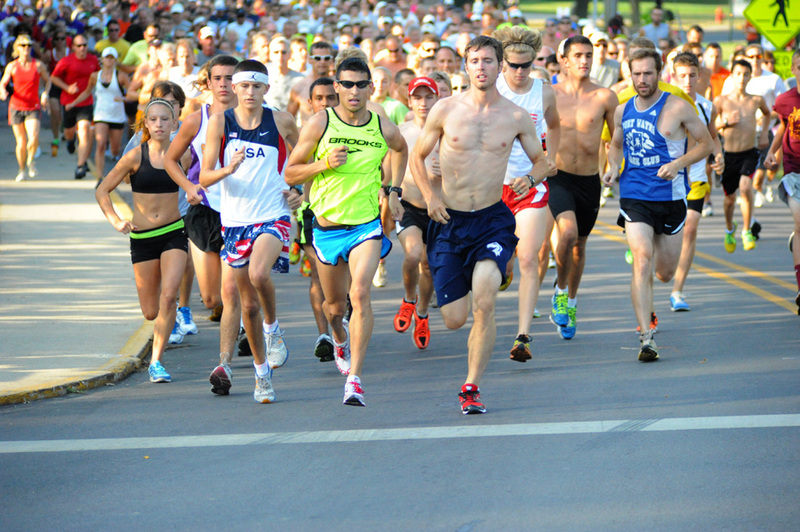 The eight-mile course had the runners cover the first 3.3-mile grid, then head south into Syracuse and eventually to Oakwood Park and back up to Lakeside Park for the finish. The Masters winners for the Flotilla Road Race 3.3-mile race were Stacey Spees, Zionsville, at 24:47 and Brian Shepherd, Ligonier, at 20:07. The eight-mile Masters winners were Trina Chapman-Smith, Auburn, at 1:06.39 and Steve Leffers, Fort Wayne, at 49.38. Complete results for the Flotilla Road Race will be available later today (or tomorrow) on the Run Indiana website. Missy Vincent, Queteraro, Mexico, in front, and Bridget Clements, Fort Wayne, catch their breath after completing the 3.3-mile run. 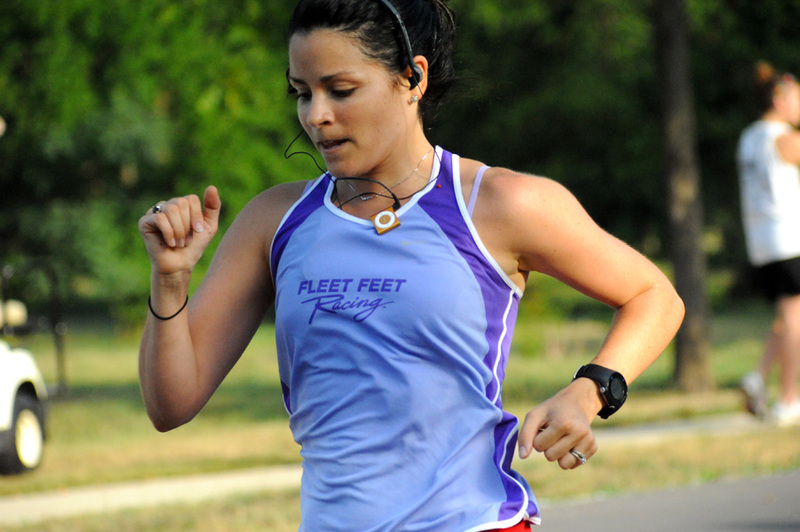 Kristin Westfall, Chicago, sprints to the finish line at the Flotilla Road Race. 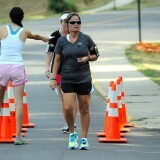 Brian Shepherd of Ligonier isn’t just the Flotilla Road Race coordinator. 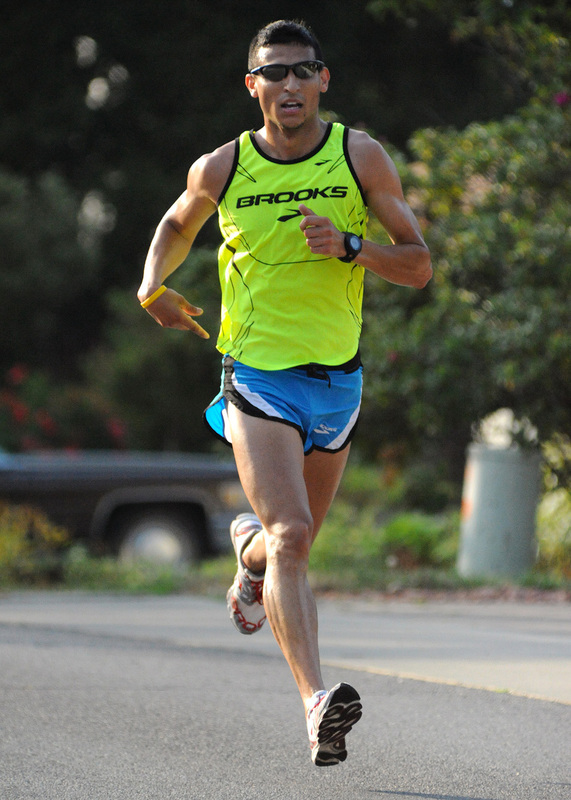 Shepherd ran the 3.3-mile course in 20:07 to claim the Masters title. 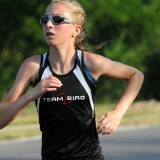 Maddie Woods, Osceola, was the top eight-mile female runner with a time of 53:10 at the Flotilla Road Race. 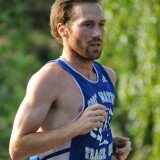 Hunter Paris, Fort Wayne, was the top overall eight-mile runner at the Flotilla Road Race with a time of 43:02. 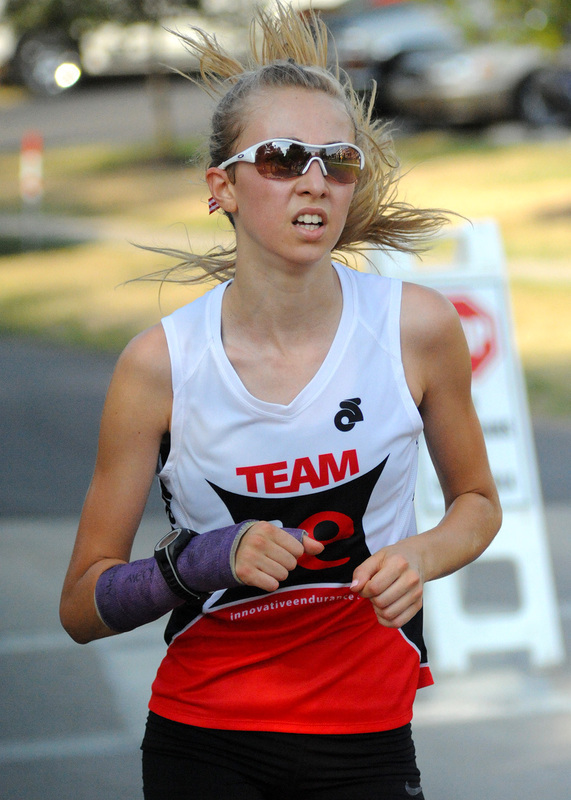 Jillian Woods, Osceola, was the top 3.3-mile female runner with a time of 22:09 at the Flotilla Road Race. Elias Rojas of Ligonier continued his strong showings at the Flotilla Road Race, winning the 3.3-mile run at 17:04 as the top overall finisher. Alexis Gerhart, Los Angeles, begins her run at the Flotilla Road Race. 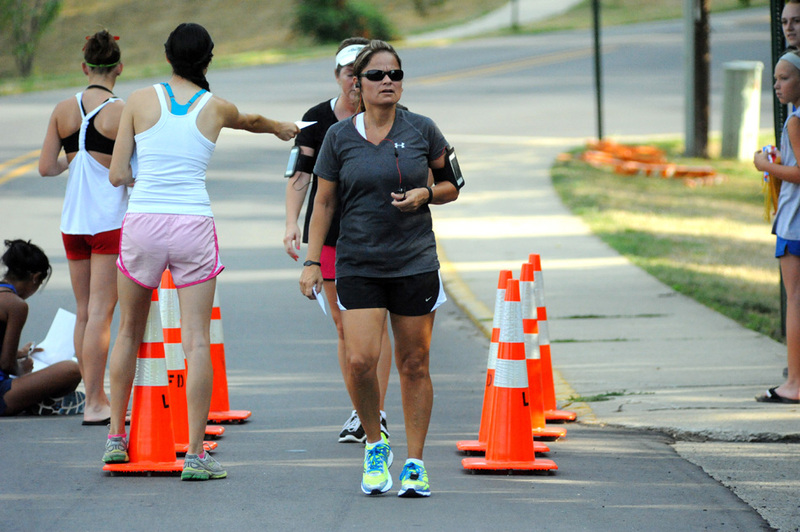 Stephanie Rhodes, white shirt, and Amy Walker take a practice run before competing in the Flotilla Road Race.